Welcome to a land where you can merge all sorts of things in the world to evolve them into even more wondrous things! Once upon a time, there were lots of fantastic monsters live in a wonderful land happily and peacefully. However, one day, their ancient god left this beautiful land. What left with him is the magical force once protect the sacred land. The land is cast out from god's love. Then what is happening now? After the god's leave, a dark force visit this land and pollute it. These amazing creatures have to live in a forsaken land without god's protection. The only way to stay here is collecting magical force from sacred flowers to heal these polluted lands. However, they can't do this by their own. Will you be their new master and help them healing this ruined land to make it shine again? Park of Monster is a Puzzle and single-player addictive video game mainly based on ios platforms. In this game, players can discover different elements and match the same items to create a better one. 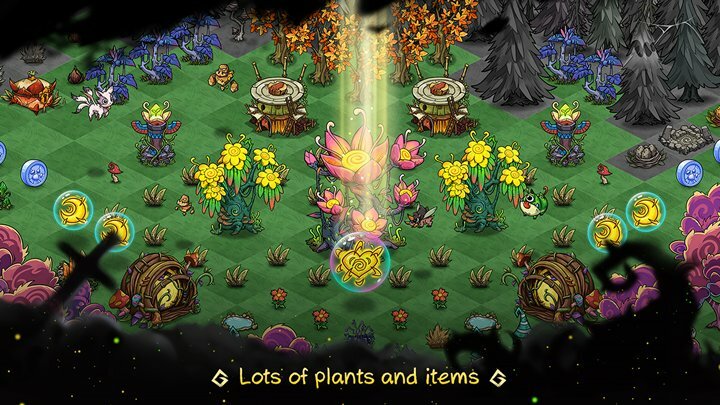 Nearly all items in this island can be merged into the high-level and every role including flowers and monsters work together to heal the land. This game reflect some environment probelms in real life and the developer hope all of us can be aware of environment protection. ---- Features and themes ------- Any three same items can be dragged together and merged "merging" into a stronger one. This is the main ability of a player. Almost every item in game can be leveling up through this. 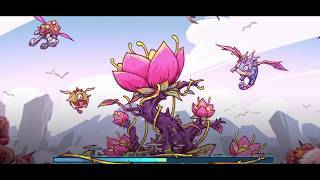 Players can plant the sacred flowers and let monsters gather from them to get sacred power and use that power to clean the pollution of world. The evolution of monsters. You can evolve your monsters by merging the same three together. Monster will get more powerful and helpful after evolved. Competing between players. Players can send their monsters to other players' land to gather more resources. And of course, others can defend with their monsters. Match eggs to hatch helpful dragons, then evolve them to discover more powerful dragons! Encounter and solve challenging puzzle levels: match the statues to win, then bring rewards back to your Camp to collect and grow. This game set a fictional fantasy world as the background. When you enter to the game for the first time, you will see most of area are locked by some magic force. If you want to unlock and recover the area, you need to work hard. Then you game starts! • Discover over100 fantastic elements to match , including flowers, eggs, bones and monsters. • Freely drag objects around the land and match 3 of a kind evolve them into more superior items! • Foster more dragon monsters to serve you and help clean the pollution away. • Design more dragon monsters with various functions. • Enhance the power of the currenct elements to help clean land. • Create more magic quests for players to challenge. • Test your puzzle solving skills with new quests and rewards to help you build your dragon camp! Park of Monster will be the most interesting puzzle or strategy game in 2019! Don't hesitate to pay much your attention to this game which is coming soon!